Area Appliance Service can repair your old busted, broken down ice maker so you don’t have to spend time and money getting a new one. We handle top ice-maker brands including Maytag, Whirlpool, Samsung, Amana and others. Our technicians understand that a malfunctioning ice maker is annoying and lets cold air out every time you open the door. This will cost you dearly over time. 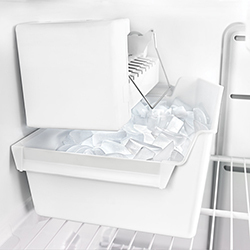 Our area of ice maker repair service encompasses Buffalo Grove, Arlington Heights, and the surrounding burbs. Feel free to please give us a ring today and talk to a real person, not a machine at (847) 459-8070 or fill out our brief online form below. 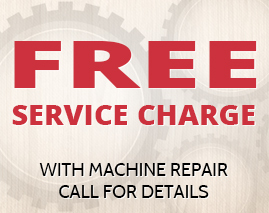 Schedule Service for Your Ice Maker Today! If for any reason your recently repaired ice maker is not working to your satisfaction, we will gladly return to fix it at no additional cost as outlined in our labor guarantee. If a part fails within the warranty period, we will gladly get it replaced straight from the parts manufacturer. So rest assured that we have your back with a great reputation, trained techs, and proper bond & insurance.